In a poll conducted by The Associated Press-NORC for Public Affairs Research and MTV, young people are saying they are more politically engaged than ever. The poll is one in a series called Youth Political Pulse that is asking people ages 15 to 34 — who, by the way, will all be able to vote by 2020 — about how their view of politics has changed. Since President Trump's election, respondents said they are questioning the media, paying attention to politics, having conversations about race and gender issues, and engaging in political activism. The poll also found that half of respondents are eagerly awaiting the midterm elections. And more than half of those with a negative perspective on politics right now say they're very likely to vote in the midterms. As far as the White House is concerned, the poll found a lot of young people have negative outlooks right now. But the results are diverse and break down respondents by class, race and gender. 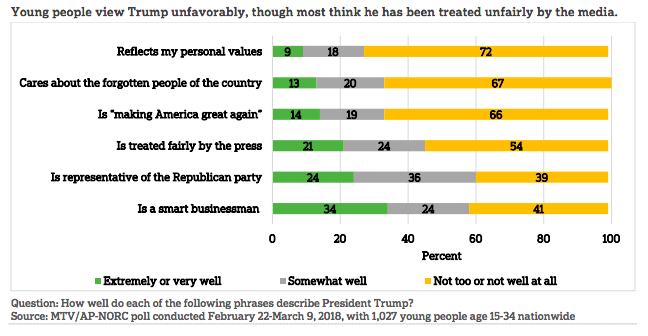 Sixty-six percent of young people say Trump is not "making America great again," but at the same time, 54 percent do not feel that he has been treated fairly by the media. 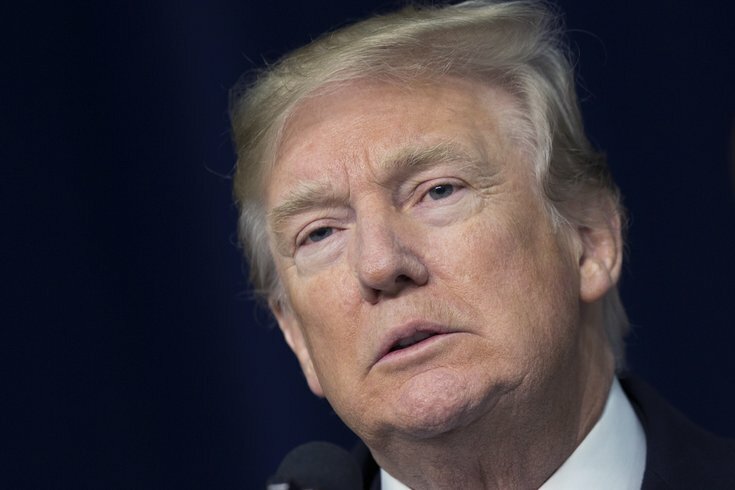 Overall, the poll found one-third of this group approves of the way Trump is handling the presidency, while two-thirds disapprove. But young whites who participated in the poll tend to have a more favorable view of Trump than young people of color. As for the future of our country? Well, teens and young adults are reporting that's also looking gloomy right now. Fifty-three percent feel "pessimistic," the poll says, and day-to-day emotions over the past month report young adults feeling more negative than enthusiastic.